The Sri Lankan Navy today arrested 13 Tamil Nadu fishermen for allegedly fishing in their territorial waters off Katchatheevu islet. They also damaged a few boats and fishing equipment belonging to others using iron rods, before chasing them away. 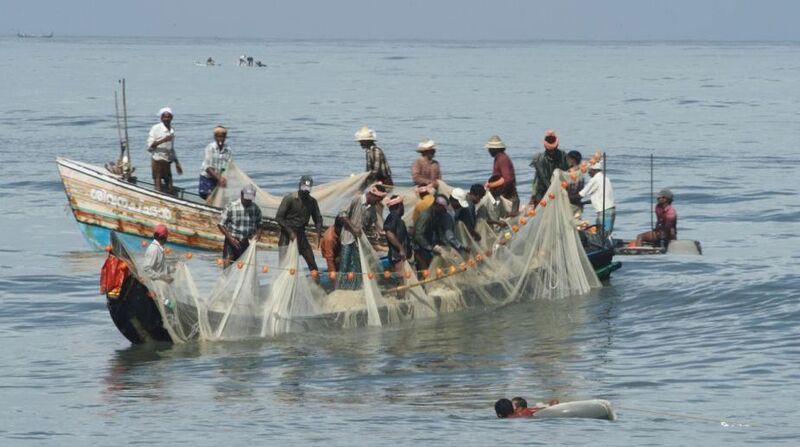 Assistant Director of Fisheries, A Manikandan said, more than 2,000 fishermen from Thangachimadam had ventured into the sea yesterday in 523 boats and were fishing near Katchatheevu when the Lankan naval men came to the spot and arrested 13 fishermen. They also snapped the fishing nets of 50 boats and damaged some boats using iron rods, he said. The arrested fishermen were taken to Kangesanthurai port along with two boats. 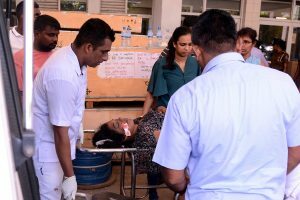 On December 31, 13 fishermen from this island town were arrested by the Sri Lankan Navy for allegedly fishing near Neduntheevu close to the island nation’s coast. A total of 89 fishermen from Tamil Nadu and Puducherry had been released by Sri Lankan authorities last year.